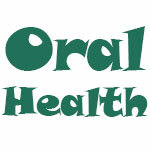 Oral Health : Health Tip: Are Your Teeth in a Grind? (HealthDay News) -- As many as 40 million Americans engage in bruxism, better known as teeth grinding. Five percent to 10 percent of them grind their teeth so severely that they fracture dental fillings or cause other types of tooth damage. Severe bruxism has also been blamed for some cases of temporomandibular joint dysfunction -- mysterious morning headaches and unexplained facial pain. Bruxism can have a variety of psychological and physical causes. They include stress, the body's reaction to poor tooth alignment, as a complication of severe brain injury or as an uncommon side effect of some antidepressant medications. If you grind your teeth due to stress, the Columbia University School of Dental and Oral Surgery says you may be able to prevent the problem by seeking professional counseling or by using strategies to help you relax. Also, try cutting down on alcohol and caffeine. If you need extra help to prevent tooth damage, your doctor or dentist may recommend dental devices called bite plates or bite splints, designed to prevent your teeth from rubbing together.